A month before the start of the FIS Alpine World Ski Championships, one of the sport’s most celebrated stars held court with media at the Westin in Avon, Colo. After two days of training, first on Raptor and then Vail’s Golden Peak, the jury was still out on whether he had recovered enough from back surgery just six weeks earlier to be named to the team. The solid, athletic body that had won 11 Olympic and World Championship medals, seven Audi FIS Ski World Cup crystal globes and 33 individual World Cup races still wasn’t quite ready to race. "I have a good track record on this hill," said Miller. "But we have a strong team right now, and I don’t want to bump someone out. I have an unusual knack for coming back and getting ready. If it’s possible, I’m probably one of the people who could pull it off. But it takes luck and good fortune. "If I’m ready, I want to race." Despite skiing only training runs in Wengen and Kitzbuehel, Miller got the nod for his eighth World Championships. But questions still remained — was he ready to race? "I was pretty nervous in the morning," said Miller about super G day on Feb. 5. His wife, Morgan, sent him a text before the start telling him, "If you’re going to go, ski it ‘Bode Style’ and really send it." Starting ninth, Miller went before many of the other favorites. And for 59 seconds, the world saw Bode Style at its finest. 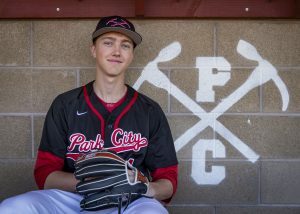 As the starter’s clocked beeped methodically, Miller drew his focus then pushed out hard into Talon, arcing turns down the icy pitch and slicing through Pete’s Arena at 68 mph. At the first intermediate, the light went green — Miller was up .11 over Austrian Georg Streitberger. Through Russi’s Ride, Miller continued on a torrid pace — extending his lead to over a half second. It was an inspiring run. As you watched, you couldn’t help but think how Bode Miller had done it again — coming back against all odds. It brought back memories of 2001 Worlds when a knee injury first thrust him into the spotlight. 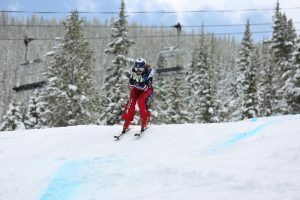 A year later, he was back — winning four World Cups in two months — including The Night Race in Schladming, then two Olympic medals at Salt Lake City. As a fan, you recalled the string of wins between Miller and Daron Rahlves on Birds of Prey beginning in 2004. You remembered his utter, complete exhaustion in the finish when he won his Olympic combined gold at Whistler/Blackcomb in 2010. Back to racing, Miller continued down Birds of Prey, charging a direct line to Golden Eagle, literally soaring into the Abyss, crunching a gate hard with his right shoulder, but setting himself up well for the transition into Harrier. In the blink of an eye, his left arm hooked a gate, spinning him backwards and sending him cartwheeling down the hill. His ski sliced his leg in two places, leaving nasty gashes. As he came to rest, he signaled his wife and family in the finish and then skied down under his own power. In the finish line, he transformed from Bode the ski racer to Bode the husband and father. He hugged wife Morgan then held his daughter. His son called out to Daddy while the medical team wrapped gauze around his leg. He was stunned from the crash but set ski racing aside, turning full attention to his family. Later that day, surgeons repaired a severed hamstring tendon. The next day, Bode sat down with NBC’s Dan Hicks. When asked by Hicks about retiring, he replied: "I have no idea. I mean, I tried retiring a couple of times and it just didn’t really stick, but at some point enough things conspire together and it does stick. And then, like I said, I’m not one of those people who needs a grand showing off or parade, I just won’t be there." "Have you made up your mind?" asked Hicks. "No, I haven’t yet," said Miller. "But I’m leaning pretty heavy towards not — not going out there anymore." Only time will tell if we’ll see Bode Miller racing again. For 59 seconds last week we were treated to the ultimate in Bode Style — diving down a steep pitch on a direct line, on the edge of disaster, then quickly into an aerodynamic tuck, taking risks to shave time — always on the edge of crazy. As fans, we want our fix of seeing Bode Miller attack a racecourse his way again next season. But we also want the best for him. If Bode isn’t in the starting gate at Birds of Prey next December, we’ll understand. And how does Bode want his career to be remembered? "I hope people see truth when I ski," he told Hicks. "I don’t have an agenda when I’m out there. I don’t try to cover things up or look cool. Skiing is such a raw sport and people pick out what they want to see. "That would be something I would hope would stand out — the honesty of my skiing."